Apple started a revolution with the concept of an app on the first iPhone. It has been interesting to see the impact it has had on different organizations’ product evolution. When I turned on my first iPhone, I was confused. The phone function is just an app now. How does it get the same amount of real estate as the calendar? A different app for messaging and another for Internet – this was revolutionary. Apps were written for games, navigation, organization and productivity. Ok, so it’s a PDA and a phone! What’s the value in product evolution? As B2C organizations discovered the potential, they too wanted to benefit from the new medium. After all, it was a direct connection to their customer’s literal pockets. At first companies created apps for the sake of it. Like the dot com bubble, anything with an app was perceived to be better. Yet many of these apps failed. They were too clunky and took up more space than the value they provided. capability to communicate with staff and participate in promotions. These and more required the front end to be directly plugged in the business back end. This is the story of organic Digital Transformation and the product evolution of consumer-facing software. Most B2C organizations have already made significant progress in delivering intuitive web-enabled interfaces for their customers to engage with them. These businesses understand the value in providing user-friendly interfaces to their customers. They also see the benefits in ‘consumerizing’ the interface that internal staff use every day. Product evolution is not just customer facing, there are advantages in evolving backend systems – that is, your internal product. Here at Revelation Software Concepts (RSC), we have our own story about product evolution and digital transformation. In the SAP space, we operate a little bit behind the fast-moving e-commerce world. It’s only more recently, that digital transformation has become top of the agenda for companies and organizations across all industries and sectors. Internally, RSC has embarked on a journey to evolve Rev-Trac. We understand that technical teams also want an intuitive and simplified workspace. And to be empowered with automation, while having easy access to information that equips them to accelerate their digital transformation. 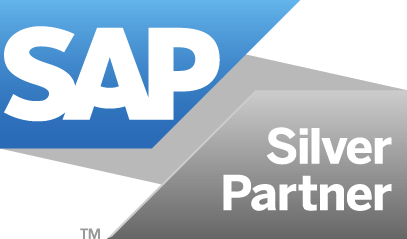 At SAPPHIRENOW + ASUG annual conference, we will be showcasing Rev-Trac’s next phase of product evolution. Be sure to stop by to discuss how you can accelerate your digital transformation. Want to arrange a time to chat at SAPPHIRENOW? You can book a meeting here.